In our fifth grade class meeting last week, I had one of those moments that we, as teachers, hold sacred. It became apparent to me that my students still didn’t quite understand the symbolism of the rubber bands as they relate to learning and the brain research presented by JoAnn Deak. 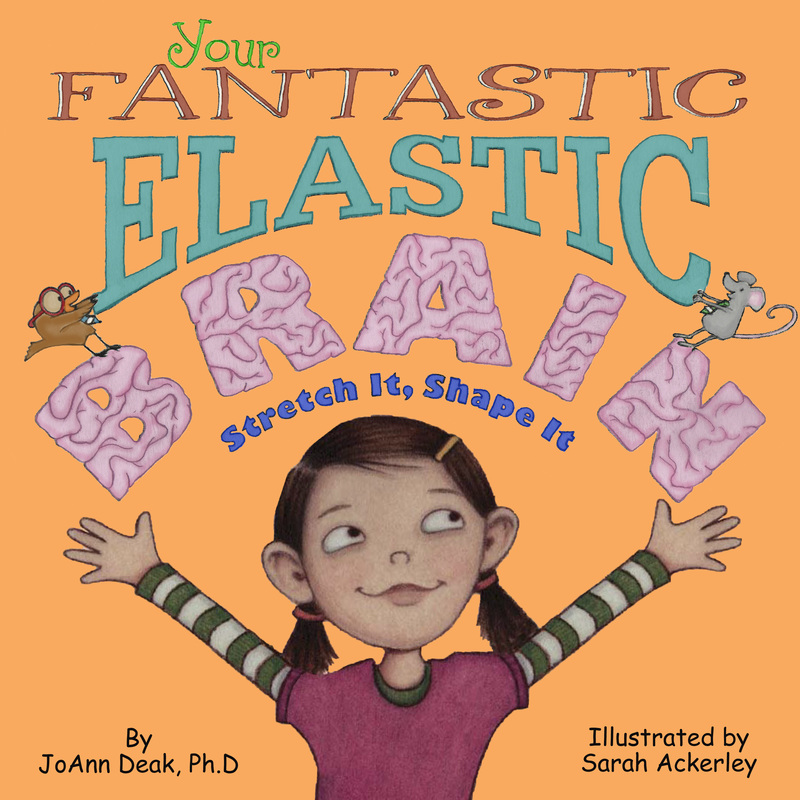 In early January, JoAnn Deak visited The Walker School and shared her latest brain research…and the example of how rubber bands symbolize areas of strength (large, stretchy rubber bands) as well as areas of weakness (small, inflexible rubber bands). “Yes!” I said. “Those are my PASSION bands, and do you know how they got sooooo stretched? I loved writing and reading books and teaching others when I was young. I told them stories about how I used to come home from school and play “school” for three hours until my mom called me down for dinner. (Some of the looks of disgust/incredulity from my students were priceless by this point.) I went on to tell them that I remember fishing through the trash for discarded workbooks on the last day of school so I could use the unused pages for my imaginary students at home. (By this point the chuckles grew louder.) And then I dropped the bomb. “Mine is definitely talking,” said Adam (one of my highly communicative students). I continued on to talk about my small “PROGRESS” rubber bands – the ones I wish I’d stretched more as a child. I talked about math with Mrs. Herrmann and Mrs. Hussey…Mrs. Rhodes’s dreaded physics class…Mr. Parkhurst’s chemistry course…and even my public speaking courses in college. (My class was shocked to learn that I would much prefer speaking to parents one-on-one than giving a large lecture on Parents’ Night.) These were all taught by amazing teachers whom I still respect and admire to this day, but because the content was not my passion, I didn’t ever grit my teeth, press on, and really S-T-R-E-T-C-H them. We ended our discussion by viewing Shane’s video entitled “Elite Dudez: Episode II” and it was everything I had hoped it would be. The flawless technical editing on iMovie, musical overlay, exaggerated celebration, and passion encompasses everything I love about teaching fifth graders. What’s important about moments like these? I am reminded that the power of knowing this information about the human brain is, I believe, better than any knowledge I impart to my students this year. Understanding these seemingly silly, symbolic rubber bands can literally open doors that would have otherwise remained closed. Who knows where Shane’s videos will lead him? Where Rhodes’s passion for organizing will take her? What doors will open up because of Adam’s quick wit and ease in speaking? We, as adults, can only look back and wish that we had stretched our bands more. How wonderful it is that we are showing these young minds the power of stretching both their PASSION and their PROGRESS bands! If you’d like to see what stretching looks like (and you need a good laugh), please check out Shane’s latest basketball video. It’s a priceless reminder of progress, passion, and the purpose behind everything we do here at Walker. About the Author: Mrs. Kate Carter (’99) is the fifth grade Language Arts teacher in the Lower School. She has been at Walker since she was in Preschool but has been teaching for six years at the school. Mrs. Carter currently serves as the upper elementary Language Arts coordinator. Why Twitter? For Learning and Connecting! But the reality is that as the Lower School Principal and as an ongoing learner, I use Twitter for so many different reasons. While I did not actually tweet any of the examples above, the mundane occasionally makes it into a tweet. But as a professional educator and leader, I see Twitter is the place where I primarily go to amplify my professional learning, connect with other administrators and teachers to glean ideas and best practices, and share the dynamic teaching and learning that happens within (and outside) of the walls of the Lower School at The Walker School. Mrs. Carter also invites her students to tweet. At any point during the school day, a student can share something they learned by completing the paper form that’s in her classroom. It’s a learning experience in itself to synthesize and summarize new information in 140 characters or less! It’s also a great way for Mrs. Carter to assess what students are learning and to evaluate what they find powerful in their classroom experiences. All in all, Twitter is certainly something extra. It’s another social networking tool, but as an educational leader, it’s the tool I (and many others) use to amplify professional learning, connect with other administrators and teachers, and share the dynamic teaching and learning that happens within (and outside) of the walls of the school. A lot of teachers and parents at The Walker School are giving it a try — ask around and you may find it a helpful way to learn even more about how this social networking tool is inspiring meaningful relationships and engendering transformative learning! 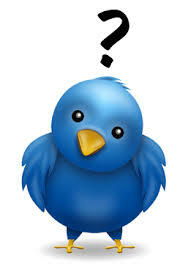 You do not have to have a Twitter account to follow The Walker School on Twitter. Click here to access the School’s profile and Twitter handle (@thewalkerschool).